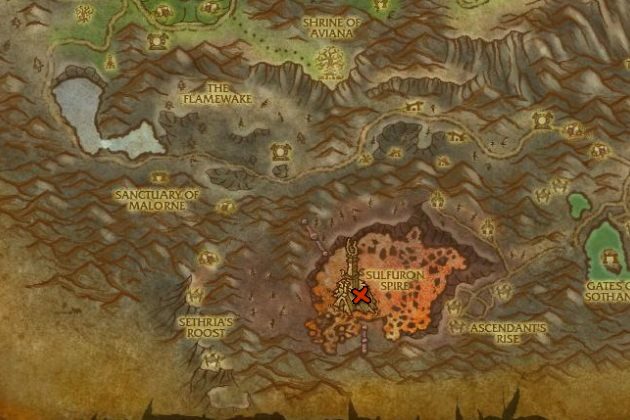 This Cataclysm Skinning leveling guide will show you the fastest way how to level your Cataclysm Skinning skill up from 1 to 75. Your skinning doesn't determine the number of leathers you get from each mob, you will get the same number of leathers with Cataclysm Skinning 1 as with 75. Firelands is the best place to level Cataclysm Skinning, but you have to have a level 100+ character. If you don't have a high level character, scroll down to the bottom of the guide to find alternative farming places. 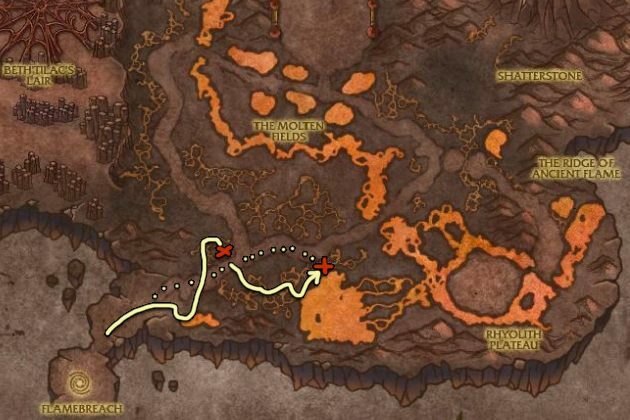 The entrance to Firelands is located at Mount Hyjal. Go inside, then kill every scorpion, turtle and core hound on the marked area, but do it in two pulls, else you won't be able to skin them fast enough, and the corpses will start despawning. After you cleared the instance, run out, then you have to reset it by right clicking over your own portrait, and then click the "Reset Instance" button. This restarts the whole instance, and all mobs will be back. You will reach Cataclysm Skinning 75 by clearing the instance twice, which takes around 10 minutes. Note: I recommend to skip the turtles in the large lava pool because it's really annoying to pull them while swimming in lava. The Tol Barad is located with the rest of the Cataclyzm zone portals (just above the Valley of Wisdom in Orgrimmar and on the island to the north-east of the Dwarven District in Stormwind), but you have to be level 85 to use the portal. This is the best palce to level if you can't solo Firelands. Kill Darkwood Lurkers and Darkwood Broodmothers around the marked area. You cannot level at the place below if you have done all the quests at Hyjal.